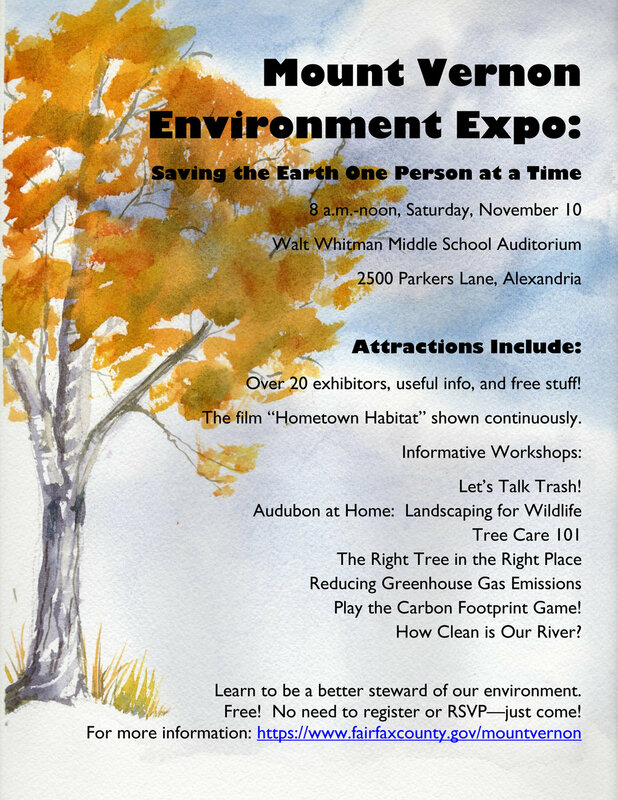 ASNV will have an Audubon at Home exhibit at Mount Vernon District’s first Environment Expo on Saturday, November 10, 8 a.m. to 12 noon, at Walt Whitman Middle School, 2500 Parkers Lane, Alexandria. Click here for directions. Free and open to the public. For more information and to register, click here.